Being an undergrad is hard. With the days spent in lecture rooms and the nights devoted to catching up with essays and assignments, one wonders how is it even possible for undergrads to do any research – let alone publish it. While there is no expectation from undergrads to publish, a rough (and very anecdotal) approximation is that around 1 in 100 students publish during their undergraduate studies in either a peer-reviewed journal or other online outlets. (However, this highly depends on the field and publishing culture of the affiliated institution). There are also many benefits to publishing as undergrad; as illustrated by Griffith (2001), an early publication – regardless of the importance of the findings or prominence of the outlet – can increase student’s confidence and inspire a prolific academic career in the future. So how do these acclaimed one-in-a-hundred undergrads manage to publish amid challenges of the student life? One way is to publish the outputs of coursework assignments – be it an empirical study or a review article. This is precisely what Julian Burger and Koen Derks from the University of Amsterdam did with the group assignment from one of their Research Masters courses. Together with their classmates, they developed a method for ranking publications in a literature review, and wrote it all up in an article that was recently published in JEPS. In addition, they created an interactive tool in R Shiny – a package implemented in R that allows for effective and didactic illustration of one’s analysis tools and methods. We were curious about the process of publishing the results of coursework assignments, so we invited Julian and Koen to share some of their insights. We hope you enjoy the read – and hopefully get inspired to publish some of your own coursework research as well! Could you tell us a little bit about the study you recently published in JEPS? Our recently published study in JEPS has its origin in our 2016 Research Master course “Good Research Practices”, which elaborated on the methodological do’s and don’ts of scientific research. Our course coordinator at the time based the course around the topic of a prevalent misunderstanding in the use of ANCOVA, namely that when groups differ on a covariate, removing the variance associated with the covariate also removes the variance associated with the group (Miller & Chapman, 2001). As such, an ANCOVA with covariates that are too intimately related to group membership yields unreliable results. As preparation for group-projects, every student searched for 40 articles (20 before and 20 after Miller & Chapman) related to the issue under consideration. Out of a need for a concise literature overview, we started thinking about possible solutions to aggregate this literature. We were under the impression that there had to be a way to statistically find the top-something relevant articles that everybody could read to get a simple, but complete, overview of the topic. This is how the idea of a network model of our literature search was born. We came up with two distinct methods with which we created separate networks, one of their citation structure and one of their co-occurrence frequency. These networks, as they describe the relationships between articles, give relevant insight in the relative importance of the articles in the literature. Creating a Shiny App sounds like an exciting way of presenting one’s research. Was it hard for you and your colleagues to build the app? We have had some experience with programming in R during the Bachelor and Master programmes. However, we had never implemented a Shiny app to demonstrate our work publicly. Programming the network method itself was the most difficult part. 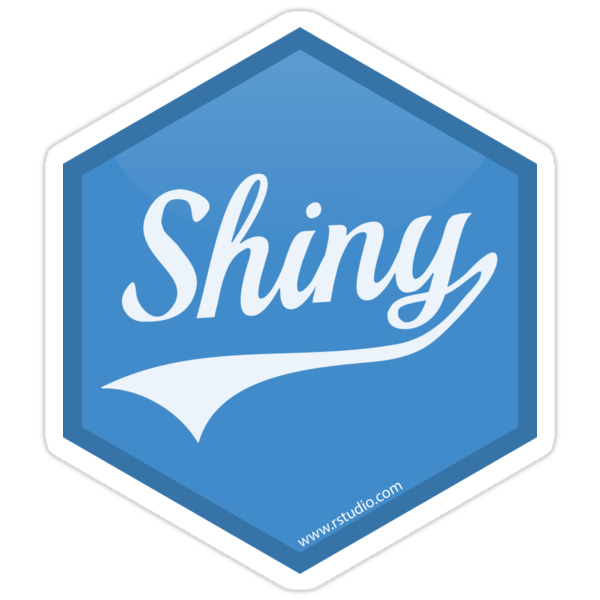 The Shiny app is of course a nice way to promote the network method and let other people benefit from it, and since Shiny is well documented, it was a fairly straightforward task. Shiny has so many advantages for demonstrating your work and making it publicly available for others, it is amazing for these projects. A view inside the Shiny app for network visualization of literature search. The app accompanies the publication, and instructions for use can be found in Appendix C of online supplementary materials. Publishing a paper with 52 co-authors sounds like a challenging collaborative endeavour. Could you recap the process for us – how did it all go, from the first idea to final manuscript edits? Within one group of the course, we worked on a way to aggregate the literature collected by all students. In this group we applied the two different network models to the articles collected by all contributors. From our experience it is very important to assign a clear role distribution from an early time-point on and communicate the obligations that come with this well. Throughout the course, we presented the results of the analyses in class, collected feedback by the students and after the course wrote the article in a team of two. We appointed a main contributor who took care of the main writing and fine-tuning and a second contributor who wrote another part of the article. The course coordinator took a supervising role and was available for meetings and feedback on the writing. And what were the most difficult aspects? Coordinating the feedback and rewriting the article. If you work with multiple authors that takes a lot of time. Because some of our classmates were following other courses, it was not always easy to contact them for feedback in the later stages of the publishing process. Do you have any tips for students who are thinking about publishing the results of their coursework research? Or maybe for lecturers who consider structuring their course assignments in a similar way? 1. A clear role distribution. To prevent misunderstandings regarding responsibility, we advise to spend enough time on clarifying who is working on what. 2. Not too many contributors involved in the actual writing. From our experience, it worked well to have two people involved in the main writing. It is of course useful to collect feedback from the group, but to have a coherent story, not too many writers should be involved. 3. Have one main responsible contributor. It worked very well for us to appoint one main contributor, who took the main responsibility of incorporating and coordinating feedback. 4. Make use of feedback sessions. From our experience, the main benefit of working in a big group is that you can use a lot of input from different perspectives. Koen: This year I started a PhD focused on statistical auditing. My main topic is developing Bayesian alternatives to classical audit methods and implementing these methods in JASP for Audit (JfA), which is built to support auditors in their statistical journey. In the future, I plan on staying in academia and continue learning about Bayesian statistics. Julian: I started my PhD this year on network models/dynamical systems in psychopathology. My plan is to make these models more accessible for clinical practice and at some point in the future to combine the research with working as a therapist myself. The Journal of European Psychology Students is a great outlet for publishing findings from such a student course project, so we think it is definitely worthwhile trying to write down your work and get to know the process of scientific practice and publishing! If you’re inspired by Julian’s and Koen’s story and wish to put some of your own coursework research in writing, check out out submission guidelines at jeps.efpsa.org! Karla Matić is a psychology graduate of University of Leuven with interests in cognitive neuroscience, large-scale neuroimaging methodology, and science policy. She is currently an intern in the European Research Council (ERC) in Brussels. If she didn't aspire for an academic career, she would be running a book-café on a small Croatian island.